Mitchell Morley brought it home strongly with an awesome effort of walking 12 hours on a treadmill to fundraise for Make-A-Wish Australia and to also make his wishes come true. 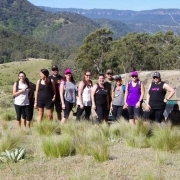 Mitch is part of the 2014 Mt Kilimanjaro Charity Challenge Team. The fundraising event was held on the 23rd September 2014 at the Doylo RSL Club on the Central Coast and was well supported by the Doylo staff as well as the local community. It was a long event, and to walk on a treadmill for 12 hours is no easy feat, but Mitch hung in there the whole day and even managed to sprint home the last 30 seconds. 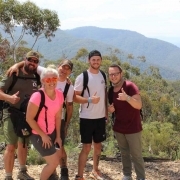 There is no doubt that this was also great training for Mitch as he gears up for his climb of Mt Kilimanjaro in the coming weeks. Staff members and the patrons of the Doylo RSL Club were generous through out the day which was absolutely fantastic. Mitch was getting pretty tired towards the end of his “Wishes Through Walking” challenge, but Shane Pophfer who is the Managing Director of Peak Potential Adventures and who is also leading this year’s Mt Kilimanjaro Charity Challenge said “climbing Mt Kilimanjaro is much easier if you get comfortable with being uncomfortable” which is one of Shane’s favorite motivational sayings. Days before leaving on his adventure of lifetime, Mitch had raised $11,273 for Make-Wish Australia, which is an outstanding effort. The funds he raised will go a long way in making the wishes come true for the children who need it most. 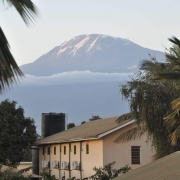 We wish Mitch all the best of luck on his climb, and will be following the team’s progress closely over the 7 days as they make their way up the Machame Route of Mt Kilimanjaro. We are confident with all the pre training we have done with Mitch and the team; we will follow on with our 100% summit success rate that we achieved with the 2013 Mt Kilimanjaro Charity Challenge. With only a 60% summit success rate on Mt Kilimanjaro, we would be over the moon if we achieved 100% success on the 2014 climb.